Many AFFIL and AFR members have been contacting us to express their concerns about the bill passed by the Senate last week. We wholeheartedly agree that the bill could be stronger, and that the fight’s not over yet. Fortunately, while the bill is not a final victory, it is a huge step in the right direction. Among other things, it will implement important mortgage reforms, allow for transparency in the derivatives market, and help prevent future bailouts. It also creates a Consumer Financial Protection Bureau, something we have been supporting for a long time. But the bill could get weaker in conference. That’s why it’s so important to write to your Senators about their votes and ask them to side with consumers as the conference process begins. 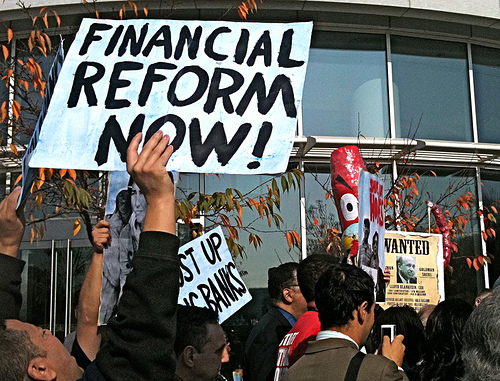 ← Senate Passes Financial Reform!